Stands for "Digital Video Recorder." 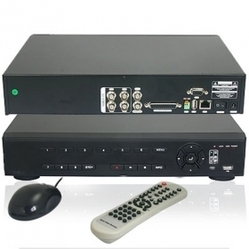 A DVR is basically a VCR that uses a hard drive instead of video tapes. It can be used to record, save, and play back television programs. Since 2008, we have been engaged in manufacturing an advanced range of Inverters, Transformers, UPS and Solar Products. Our clients can avail from us a wide range of Solar inverter 5 KVA, Solar Inverter, Solar Panels, Solar Mobile Chargers, Solar Lanterns, Solar Mounting, 25 KVA 3 Phase Inverters, 3 Phase Inverter, Oil Cooled Stabilizers and Oil Cool Stabilizers, to name a few. We also provide our patrons with 3 Phase Oil Cooled Stabilizers, Single Phase Online, Three Phase Line (In/Out), Phase Input, Three Phase Industrial Inverters, Step Down Transformers, Three Phase UPS (250 KVA) and many more. These electronic and power devices are manufactured with the use of premium grade material & components sourced from authorized market vendors. Furthermore, known for their maintenance-free life, high efficiency and compact designs. These electrical products are demanded in IT, telecom, hospitals, airport, railways, hotels, malls, factories and various government department & other sectors. We also specialize in manufacturing each product as per the specifications mentioned by our reputed clients. Our engineers and technicians also provide on-site and off-site servicing & repairing of these products. Furthermore, we also provide facility for recycling and disposing old & outdated electronics.